Nestled on Broadgates just off Priestpopple, you may have walked past The Potting Shed while out and about in Hexham. Its wood and glass frontage resembles a romantic garden shed, piled high with terracotta pots and a scattering of pretty plants. 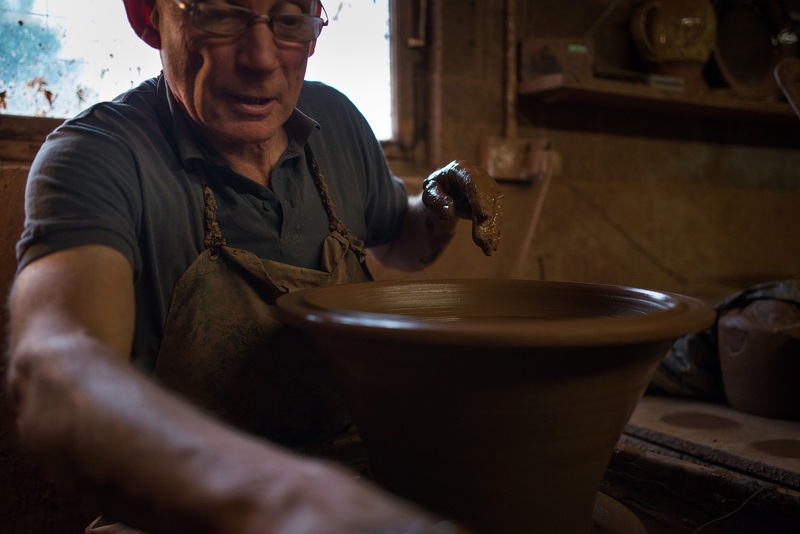 Step inside and you’ll find an artisan who has been at work in the town for almost 40 years. Chris Dunne is the hands behind the products at The Potting Shed. 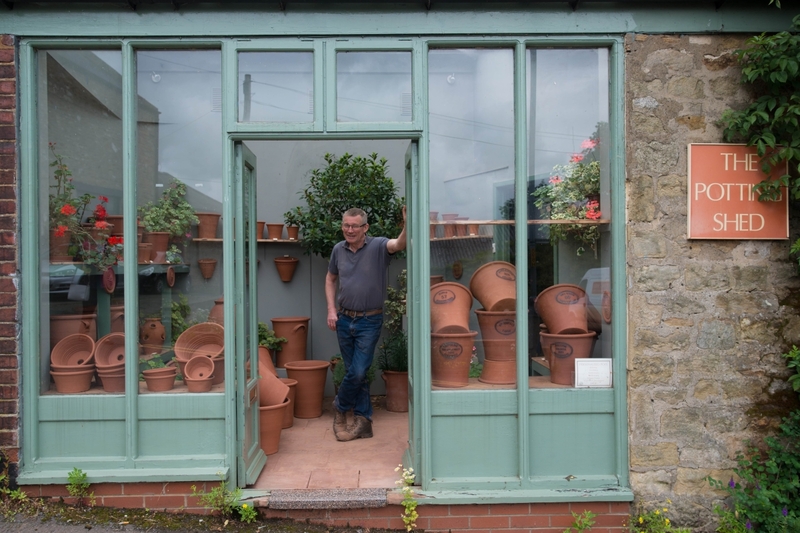 His workshop and shop have traded steadily, supplying a combination of garden centre clients, passing trade and, more recently, online shoppers. 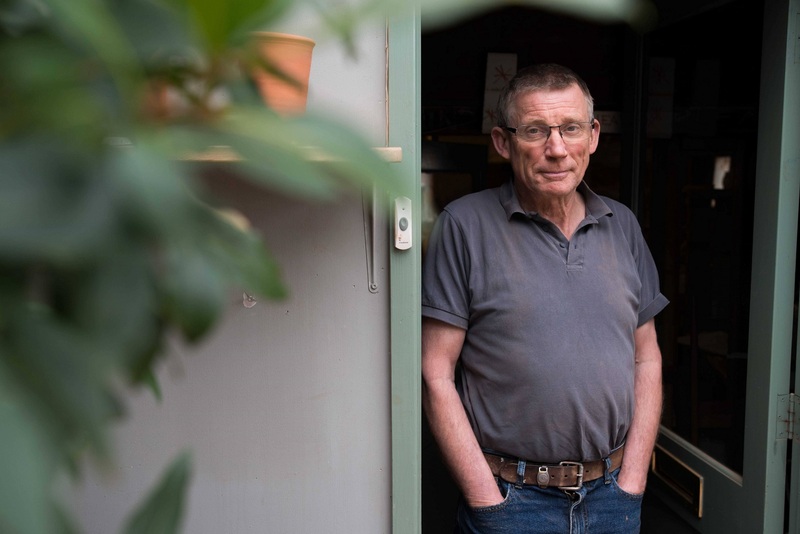 “For most of my time here, my customers have been garden centres around the country,” Chris explains. ‘Hexham’s location gives easy access for delivery to main population centres in Northern England and the South of Scotland.’ Just behind the shop front, Chris makes his stock by hand. Watching him work is mesmerising, and the deftness with which he works is testament to 40 years in the job. “The shop itself is just a small proportion of my turnover,” says Chris. 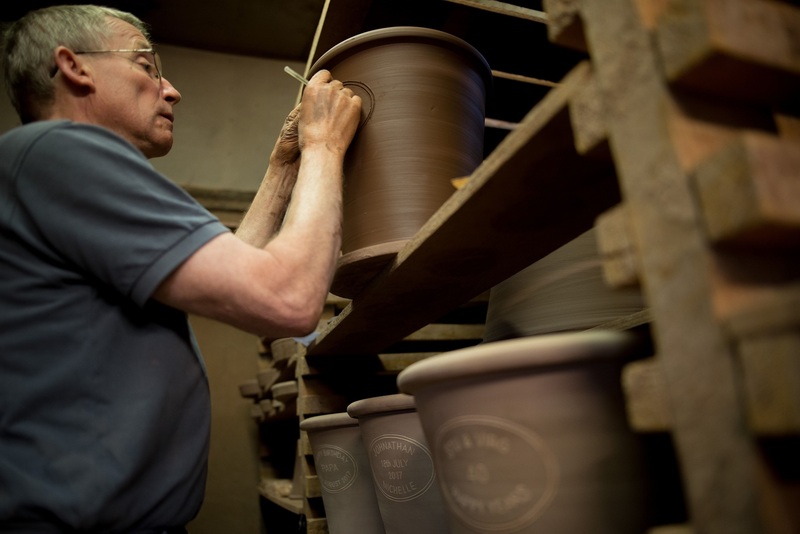 ‘There is one product that outsells everything else in the shop though, both locally and on the website.’ This product is the personalised pot, engraved by Chris with names and dates. 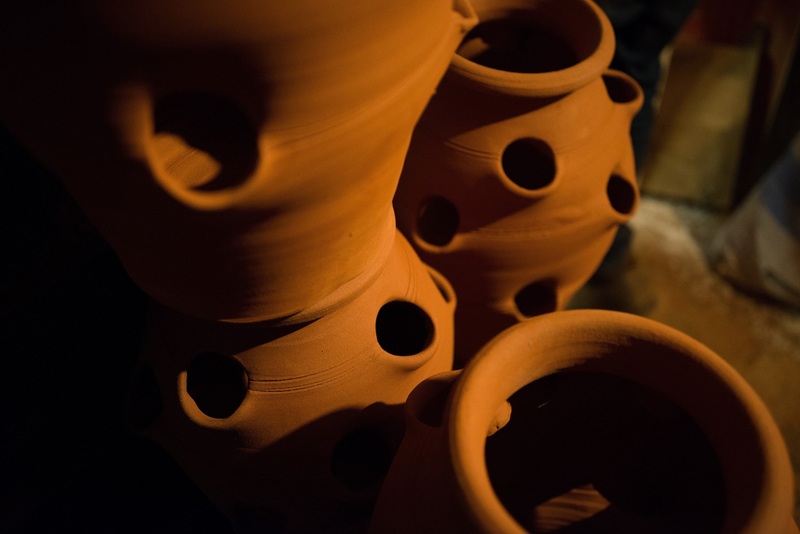 By transforming a standard 12-inch flowerpot into a memory to celebrate weddings, new homes, birthdays and many other events Chris is able to create something unique. After 40 years in Hexham, we asked Chris what he thought about the town as a retail destination. “Upmarket shops, like those in Corbridge, are an essential part of the mix of successful market towns in other parts of the country,” he explained. “Hexham needs something that defines it. What is it for?” As we left Chris to carry on with his work, we reflected on his last point. The key to any market town is its local businesses, and Hexham’s diverse offering with a strong retail community are very much at its heart.